ASK: When can I expect to be discharged from birth center? ASK: What should I be looking for when choosing a birth center to deliver my baby? ASK: I want a birth center birth but my family doesn’t think i should. What can I do? ASK: How do I know if I am a good fit to give birth at an independent birth center? ASK: What is an independent birth center? 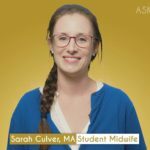 SHARE: Why do you work as a nurse midwife at a birth center? You have reached your maximum amount of free views. To continue please choose a membership below. The information on Birthpedia is not intended or implied to be a substitute for professional medical advice, diagnosis or treatment.